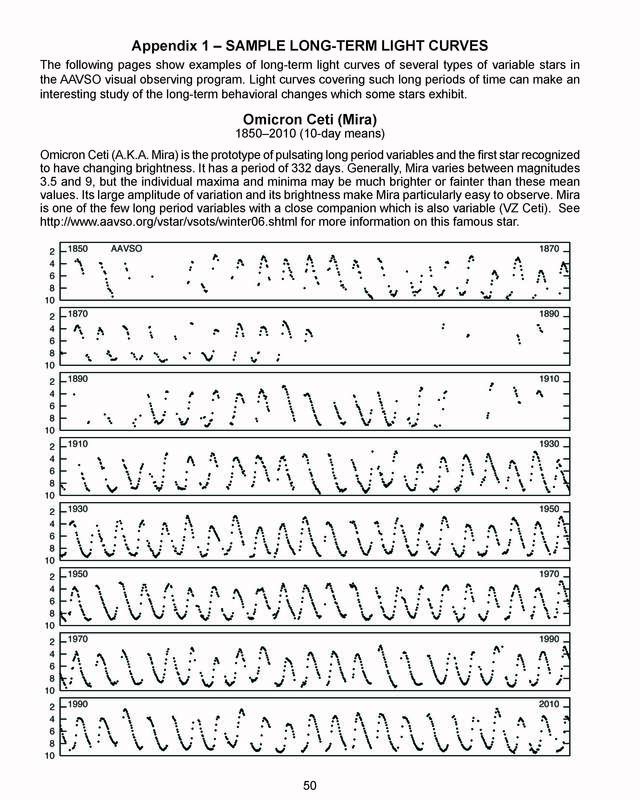 The Variable Star of the Month (VSOTM) made its inaugural appearance on the AAVSO web site in November of 1998, with FG Sagittae as the star of honor. In 2003, the frequency of online publication was reduced from a monthly feature to a quarterly event to coincide with the seasons. Thus, the name change to Variable Star of the Season (VSOTS). Nearly a decade later, over 50 stars have made their mark in the AAVSO web page of variable star fame. No list of notable and interesting variable stars would be complete without mention of omicron Ceti, more commonly known by its one-name alias, Mira. As an early pioneer of these online features, Mira has consistently held a place in the top ten list of most frequently viewed VSOTM/S pages. Although this star has been known for over 400 years, we are still learning much about this highly revered variable. In fact, much has been revealed about this seemingly predictable star since being in the AAVSO's December 1998 spotlight. 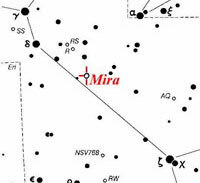 Therefore, it is only fitting to revisit Mira, one of the most popular stars amongst variable star observers. As the first to be discovered, it is no wonder that Mira serves as a prototype, lending its name to an entire group of variable stars aptly called the Mira-type variables. Such stars were once much like our own Sun, but have since evolved toward the end of their stellar lives. As cool red giant stars, they are found in the high luminosity portion of the Asymptotic Giant Branch (AGB) in the H-R diagram. These stars generally have larger radii, higher luminosities, lower temperatures, and lower surface gravities than our Sun. As a result of the low surface gravity, the outer atmosphere is tenuous and loosely bound and forms an envelope around the star. Although it is not fully understood, pulsations of this cool, weak outer atmosphere seem to give rise to the brightness variations seen in Mira stars. Mira variables along with their Semiregular variable relatives, belong to a larger class of variable stars referred to as the Long Period Variables (LPVs). In general, the visual brightness of Mira stars can be seen to vary by 2.5 magnitudes or more. The periods are quite long in comparison with other variable stars, being on the order of several hundred days. Although there are deviations from the norm, the periods are often quite stable and predictable. Amplitude and light curve shape variations, however, are not uncommon. Spectroscopically, Mira stars are of the M, S, and C types. Mira itself varies between visual magnitude 3.5 and 9, but the individual maxima and minima may be brighter or fainter than these mean values. Mira has a periodicity of 332 days and is of spectral type M2-M7 III. Mira is one of the few LPVs associated with a close companion star. Suspicion of a counterpart arose in the 1920s when Alfred Joy of Mount Wilson Observatory noted a rather strange displacement in the spectrum of bright hydrogen and helium lines that became evident at Mira's minimum. "The displacement is along the length of the slit and there appears to be no way of explaining it except by assuming that the star has a tail or asymmetrical shell on one side or that there is a companion star distant about 0.25" in position angle 135o" (Aitken 1923). At Joy's request, Robert Aitken of Lick Observatory, observed the star with the 36-inch refractor for visual confirmation. Upon investigation, Aitken found a star of bluish color about 1" to the south -- a star, he noted, that should be easily seen with a 12-inch telescope. Aitken further commented that the star image itself had no peculiarities and, other than its color, looked no different from other images of the same magnitude. The companion star, a variable star in its own right, is thought to be a white dwarf star that is surrounded by an accretion disk of matter drawn from the pulsating giant. Although it is not presently monitored by AAVSO observers, the star is designated as VZ Ceti. According to the General Catalogue of Variable Stars, VZ Cet varies with a range of 9.5-12 and has a possible periodicity of about 13 years. 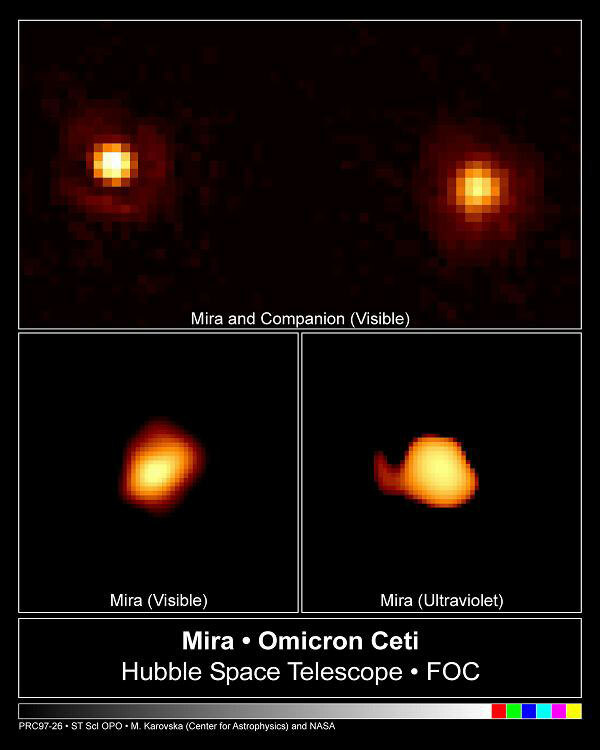 As a pair, the system is referred to as Mira AB, with Mira itself as Mira A and VZ Cet as Mira B. The stars are separated by about 0".5, and at a distance of 420 light years, Mira AB represents the nearest example of (weak) symbiotic binary. (For more information about symbiotic stars, see the section listed in the VSOTS archive.) In 1995 the Hubble Space Telescope (HST) Faint Object Camera (FOC) was used to resolve Mira AB both spatially and spectrally at the UV and optical wavelengths. Thus, for the first time, the interacting components could be studied individually (Karovska et al. 1997). Although Mira's existence has been known for more than four centuries, the "wonderful" star continues to keep a captive audience by revealing more and more about itself. Infrared studies by Karovska et al. (2002) indicate strong deviations from Mira's shell symmetry in the direction of the companion, implying that Mira B will most likely effect the shape of the loose, outer shell of Mira A as it evolves toward the Planetary Nebula stage of stellar life. Furthermore, Karovska et al. (2002) report that the UV spectrum of Mira B has changed in recent years. 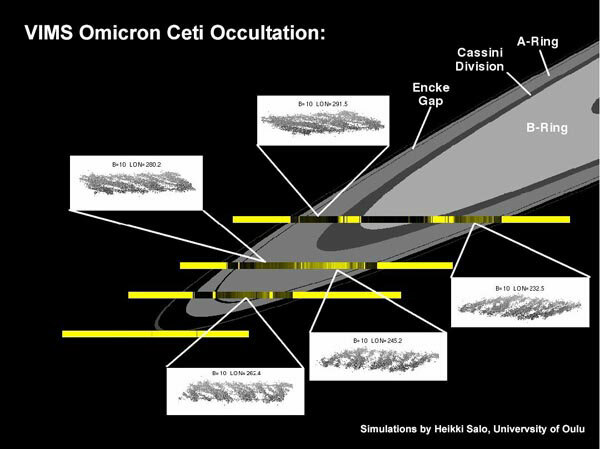 While cause for the change is not fully understood, it may be the result of a possible disruption of the accretions disk -- a possibility that is supported by HST observations of a decreased accretion rate onto Mira B. One of the most exciting latest Mira findings can be found in a paper dedicated to the memory of Janet Mattei, AAVSO Director from 1973-2004. Here, Karovska et al. (2005) report on the discovery of X-ray emission from Mira. What makes this news so fascinating is that while X-rays are expected to be produced by the white dwarf's hot accretion disk, astronomers found a flare of X-ray emission separate from the accretion disk that was coming from Mira A itself -- an event that has never before seen in any AGB star, let alone Mira! This type of activity signifies that the system is undergoing some impressive changes. Although astronomers are not sure exactly where the flare may have originated from, they theorize that such an event could be the result of mass ejection or a jet. Ultimately, it is thought that the flare may have long-term consequences on the system. More recently (see Matthews and Karovska 2005), Mira AB was observed with the Very Large Array (VLA), marking the first time a symbiotic system was resolved unambiguously at centimeter wavelengths. As a result, Mira is now the only symbiotic to be resolved from X-ray to radio wavelengths. Although the team did not find any correlation to the X-ray flare in the radio, they suspect that future studies may be more revealing. Such multiwavelength observations are hoped to aid in determining the nature of the system, as well as its individual components. Although much of the recent excitement about Mira has come from multiwavelength observations, it is important for continued monitoring in the visual regime as well. One never knows when and if a perfectly well behaved variable might decide to stray from the norm and act up. Maintaining light curves with continuous observations gives us a good baseline for comparison if a star should go somewhat astray. In addition, possible correlation of events in multiple wavelengths is critical in helping astronomers piece together astronomical puzzles. Through its observers, the AAVSO has made many important contributions to science in just this way. If you are not already observing Mira and are interested in contributing to its light curve, look no further. Mira's large amplitude of variation and brightness makes the variable particularly easy to observe and is a great star for observers of any level. Since Mira has such a long period, simply one observation a week is sufficient. While the Cetus constellation chart can show you Mira's position amongst the other stars in the constellation, estimates of the variable's brightness may be made with the "a" and "b" scale charts. Observations can then be submitted to the AAVSO for inclusion in the International Database. When submitting observations, however, report the star by its shortened Bayer-assigned name of OMI CET. The AAVSO has over 59,000 observations of Mira alone! After 400 years, Mira still promises to dazzle astronomers as we continue to learn more and more about this first known periodic variable. We'll keep you posted! A wealth of information presented at the AAVSO Session on Mira Stars (part of the 85th Annual Meeting of the AAVSO, November 1, 1996) may be found in Volume 25 of the Journal of the AAVSO. 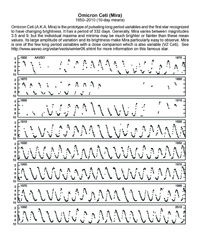 AAVSO charts: use the "Variable Star Plotter" to create"a" and "b" scale charts for OMI CET. Karovska, M. "High Angular Resolution Observations of Mira." Journal of the AAVSO, 25, 1997, 75-79. Karovska, M., E. Schlegel, W. Hack, J. Raymond, and B. E. Wood. "A Large X-ray Outburst in Mira A." The Astrophysical Journal, 623, 2005, L137-L140. Matthews, L. D. and M. Karovska. 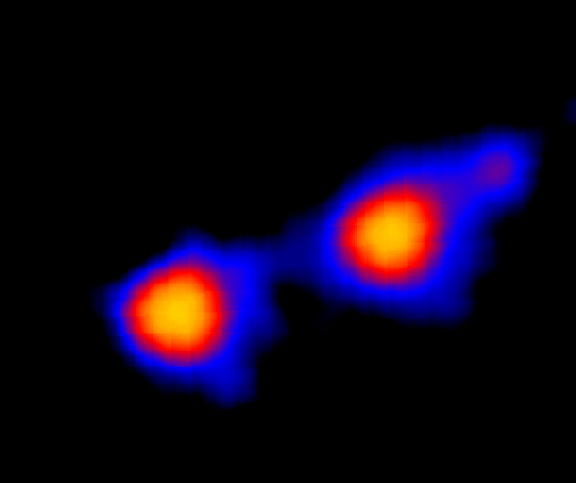 "First Resolved Images of the Mira AB Symbiotic Binary at Centimeter Wavelengths." 2005, available at arXiv.org.